Aerial view of Owensboro's O. Z. Tyler Distillery. O. Z. Tyler Distillery is the new name for an Owensboro distillery long associated with the Medley family. It was acquired last year by Terressentia, a South Carolina company that claims to be able to accelerate the aging of whiskey and other products using its TerraPURE process. Orville Zelotes ('O. Z.') 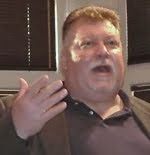 Tyler III was the co-inventor of the TerraPURE process, along with his son. O. Z. died last year at the age of 81. Kentucky Governor Steve Beshear participated in the July 30th dedication ceremony. Terressentia says it is investing $25 million to purchase and refurbish the plant, which was built shortly after Prohibition. It needs a lot of work. Although the 36" diameter beer still is in place, a new boiler and new fermenters are needed. Many of the warehouses were damaged in a 2009 winter storm. Terressentia says they will have it up and running in 2016. The last time anything was made there was in 1992. That same year United Distillers (a predecessor company of Diageo) sold it to Charles Wathen Medley, who was its last master distiller. Like many whiskey-making clans, the Medleys started with a small, farm-based operation in Kentucky's Washington County early in the 19th century. The patriarch was John Medley. When he died in 1814 his estate included two stills and forty mash tubs. The Medleys distilled in Washington County until, in 1901, George Medley and a partner bought a distillery in Daviess County, 130 miles to the west. (Pronounce it “Davis” despite the spelling.) The distillery was located just west of Owensboro, the county seat and Kentucky’s third largest city. George’s son, Tom, joined and then succeeded him in that venture. The Medleys were part of the migration of Maryland Catholics to what they called the American Holy Lands in Kentucky. The Wathens were another such family. By the close of the 19th century, the Wathens were among the most successful distillers in Kentucky. Nick Wathen had a daughter named Florence Ellen. Tom Medley courted and married her. They named their firstborn son Wathen Medley in honor of the union. Charles Wathen Medley is his son. 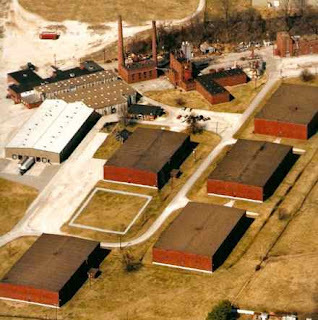 That original Daviess County Medley Distillery was next door to the current site. During Prohibition it became a meat packer, which it still is today. The first distillery on the current site was built in 1885. It was called McCullough and, later, Green River. As Green River it became famous for its advertising slogan, “The Whiskey Without a Headache.” Regulators eventually barred that claim. Its replacement, “The Whiskey Without Regrets,” though arguably more evocative, never had the same zing. Fire destroyed most of the Green River plant in 1918 and the rest was razed during Prohibition. Someone tried to bring it back after repeal as the Sour Mash Distillery. They built the current buildings, installed much of the current equipment, distilled 1,349 barrels of whiskey, ran out of money, and closed in 1939. The first distillery owned by a Medley after Prohibition was a third place in that same general vicinity, just north of the Green River site, built in around 1881. It was best known as Rock Spring Distilling, a name it acquired in 1906. Tom Medley bought Rock Spring and brought it back after Prohibition, running it until his death in 1940. His son, Wathen, sold it to Fleischmann’s Distilling and bought the adjacent Green River place. Now Wathen and his four brothers were in charge. In the boom years after World War II, the Medley brothers adopted, as a kind of trademark, the wearing of Kentucky Colonel ties (like the one KFC’s Colonel Sanders wears). The distillery sometimes gave the ties away as promotions. The Medley brothers sold their whiskey under many different brand names such as Medley Brothers, Five Brothers, Old Medley, and Kentucky Beau. They did a good, regional business and that was plenty in those days, when just about the only thing anybody drank was bourbon whiskey. Like the Motlows at Jack Daniel’s in Tennessee, the Medleys eventually became victims of their own success. Although the business was sound, they were unable to adequately finance its continued growth and diversification themselves. They sold it to Renfield Importers in 1959. Two of the brothers and Wathen's son Charles stayed on as managers and distillers. In the 1970s, Medley acquired the Ezra Brooks bourbon brand, which had originated at the Hoffman Distillery in Anderson County. A Jack Daniel’s clone, Ezra Brooks became Medley’s leading seller and #1 asset. His father and uncle eventually retired but Charles stayed on, even as the distillery changed owners several more times. Although Charles never resumed distilling there, he and his son, Sam, used the last whiskey made at Medley Brothers to launch their Wathen bourbon line as non-distiller producers. During the years he owned it, Charles mostly tried to keep the roofs from leaking and otherwise keep the buildings in good repair. In 2007, he sold it to Angostura Limited. They began a renovation but in 2009, Angostura's parent company collapsed as part of the worldwide financial crisis and all spending stopped. The distillery has been for sale ever since. In 2013, Charles and Sam Medley relaunched one of the family brands, Medley Brothers. The Wathen and Medley bourbons are produced under contract by an undisclosed Kentucky distillery. The Medleys are non-distiller producers now and intend to stay that way. For their old Owensboro distillery, Terressentia is the future. Excellent post Chuck. I've always enjoyed Wathen's but last week I got a single barrel 94° Wathen's that absolutely knocked my socks off. Do you have any insight or as to which distillery is producing Medley? Think this terraPURE concept might also be driven by the whiskey fungus? People have been trying to fake-age whiskey for hundreds of years. It's nothing new. Have you tried any of Terressentia's stuff produced in South Carolina? Haven't myself, have heard mixed reviews. Great post. I could just soak up Bourbon History all day! Something in the lead caught my eye: "Terressentia... claims to be able to accelerate the aging of whiskey and other products using its TerraPURE process. " I known scientists are getting pretty good at chemically recreating flavors in a lab. I assume it's only a matter of time until someone figures out congeners, aldehydes, vanillins, tannins, etc. I've been waiting for someone to combine those synthetic flavors with pure ethanol to sell as 'artificially aged whiskey' -- although that's not what is being claimed in this article at all. In "Dictionary of the History of the American Brewing and Distilling Industries" from William L. Downard at page 91: "Hoffman Distilling Company: [...] Prior to 1960 the major brands were Old Hoffman and Old Spring, but about 1960 the company came out with Ezra Brooks." The information from the book would predate the claim that Ezra Brooks should have been acquired in 1959 by the Medley family. Do you happen to know when Ezra Brooks was established by Hoffman Distilling? Either the information in the book or from the Medleys must be wrong. So, the new O.Z. Tyler Distillery has nothing to do with Sazerac's Glenmore plant (DSP-KY-24)? Are they located in a similar area or are they two totally different facilities? Good catch, Thomas. The exact history of Ezra Brooks is a little hazy but I'm pretty sure it was sold to Medley in the 1970s, not 1959, and I have made that change above. Hoffman was owned by two of the Ripy brothers and the brand was partially named after Ezra Ripy. The brand probably originated a little earlier than 1959. The old Glenmore plant, now a bottling and maturation facility for Sazerac, is on the east side of Owensboro. The O. Z. Tyler place (formerly Medley) is on the west side. Prior to 1991, Glenmore owned both facilities, which adds to the confusion. Oz has nothing to do with Glenmore. Different company all together and different process. The atificial aging process is what's called as the "black sheep" of the burbon industry, but is a successful leap into the future of bourbon. There are still several barrels that are kept as reserve, and there are several bits of naturally aged bourbon housed there I believe. Its nice to see a company come out of left field and bring back an old piece of the bourbon trail.